Price listed is for two shell beads. 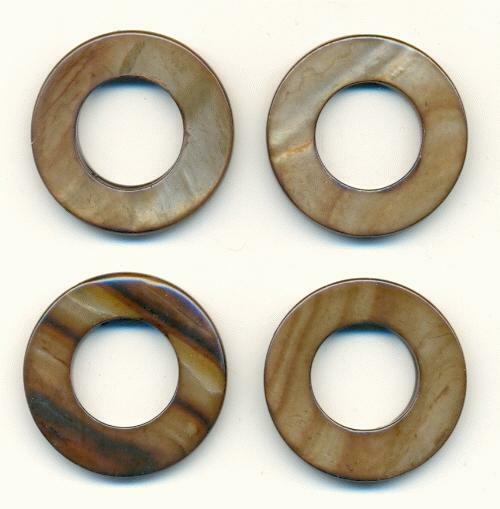 These are approximately 30mm brown colored donut shaped shell beads. They are flat on both sides with a hole drilled through the length of the bead. The opening in the center measures about 15mm. You can use a head pin or eye pin to run through one hole and dangle a rhinestone in a setting in the center or you could string beads inside the hole. The size and color of each bead varies slightly.